The Ahmed Kathrada Foundation welcomes yesterday’s sentencing of Vicki Momberg by the Randburg Magistrate’s Court. Momberg was sentenced to three years imprisonment with one year suspended for her racist rant against a police constable, David Mkhondo, and 10111 call centre agents in 2016. It is the first time in South Africa that someone may be jailed for crimen injuria. The Foundation’s Executive Director Neeshan Balton welcomed Magistrate Pravina Raghoonandan’s decision, saying that it “sent a clear signal that racism would not be tolerated”. 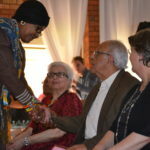 He also applauded the prosecutor, Yusuf Baba, who “persisted with the case” and Constable Mkhondo who “refused to let Momberg’s racism go unchallenged”. Momberg, who was initially ordered by the Equality Court to pay Constable Mkhondo R100 000 in damages, undergo community service and undertake sensitivity training appealed the Equality Court case. She is also reported to have subsequently said that the word ‘kaffir’, is simply a swear word. “It is clear that Momberg is unapologetic and unwilling to change her racist views. In light of this, jail time may well be the only punitive action that can ensure that she learns just how unacceptable racism is. At a broader societal level, her sentencing sends a message that the lack of willingness to reform racist attitudes can have grave consequences for the racist,” Balton said. He added while criminalising overt racism will act as a deterrent, it certainly cannot be the only means to address the problem in the country. “Anti-racism and diversity training, education, and awareness is essential on an ongoing basis at a very grassroots level to change racist mentality that remains embedded in our society post-1994,” he said. “This work cannot be limited to one or two organisations or government departments. It is the role of churches, mosques, community based institutes, school governing bodies, body corporates, unions and businesses. 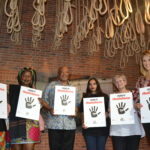 Balton, alluding to an opinion piece written by anti-apartheid struggle veteran Ahmed Kathrada in 2016, added, that tackling racism is “generational work” that requires a lifetime of commitment.